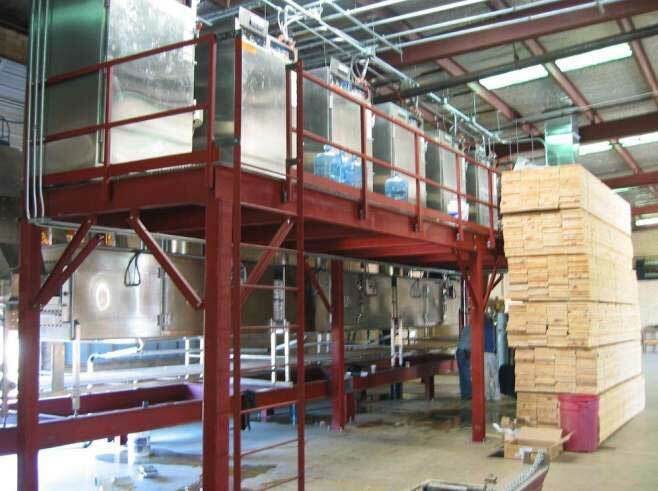 Drying process is removal of moisture from a part or a product. Based on the properties of the part or product to be dried, the drying process involves various steps and machinery. Traditionally known method of drying any part or product is achieved through exposing the product to solar energy, referred to as sun drying in simple terms. Due to the obvious limitations of this traditional method, various types of heating equipment were developed over a period of time to achieve drying independent of weather conditions. The heating equipment like oil & gas fired ovens, electrical heating ovens and several other variants of the above said means of heating, have dominated all the processes involving heating including drying. These conventional techniques have existed for long as well proven methods of drying any part or product. 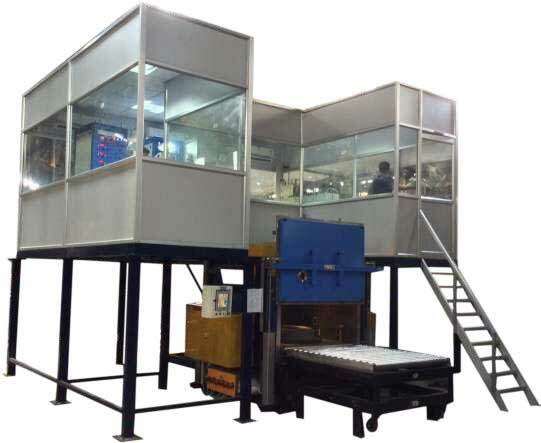 The microwave drying oven has been developed and evaluated for use as an alternate method of drying. The accelerated drying rate achieved in this method, suggests that microwave drying technique is well suited to industrial applications in drying. Microwave drying provides an alternative to traditional drying methods. Enough work has been done to demonstrate the innumerable advantages of microwave drying both at lab scale and at industrial production level around the world. Typical drying applications include drying of Carbon Blocks, Ceramic Products, Fruits & Vegetables, Food Grains & Wood with treatment. One of the greatest advantages that Microwave Drying offers as against the traditional methods is the rapid rate of drying. Combining Microwave Heating with some of the traditional methods gives added advantages of both methods. Enerzi offers a wide range of Hybrid Microwave Drying Ovens for a variety of products with the following specifications. Batch type microwave driers are designed and developed to carry out drying of materials and food products in batches of 25 to 500 kgs. 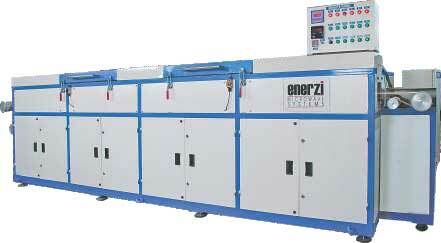 The system is ideally suited for low production factories and plants where the daily output is not very high. It is also suited where the previous stage of processing and the next stage of processing after drying is done in batches. We offer a wide range of Hybrid Microwave Drying Ovens for a variety of products with the following specifications. These are large scale industrial microwave driers built in collaboration with Ferrite Microwave Technologies LLC, USA. Typical drying applications include drying of Carbon Blocks, Ceramic Products, Fruits & Vegetables, Food Grains & Wood with treatment. One of the greatest advantages that Microwave Drying offers as against the traditional methods is the rapid rate of drying. Combining Microwave heating with some of the traditional methods gives added advantages of both methods. Enerzi offers a wide range of Industrial Hybrid Microwave Drying Ovens for a variety of products with the following specifications.